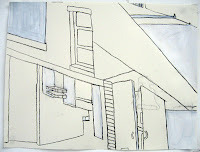 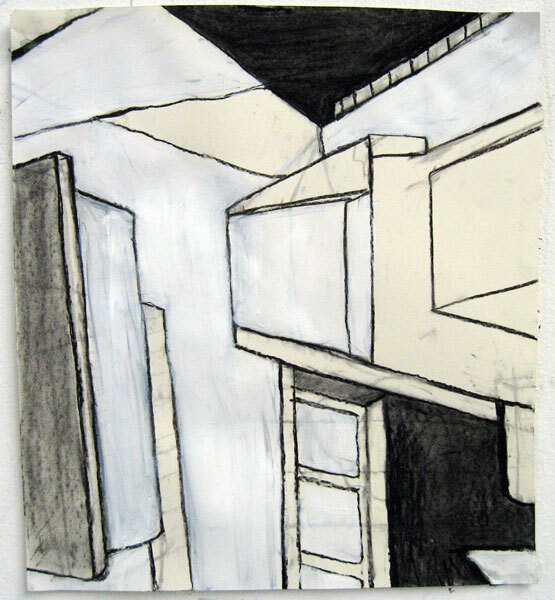 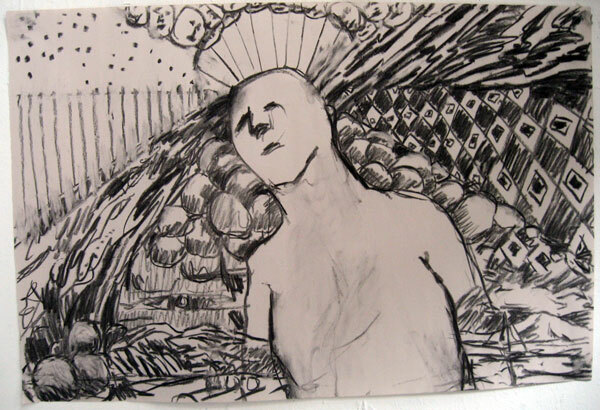 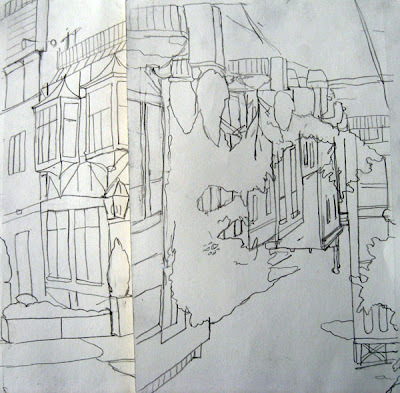 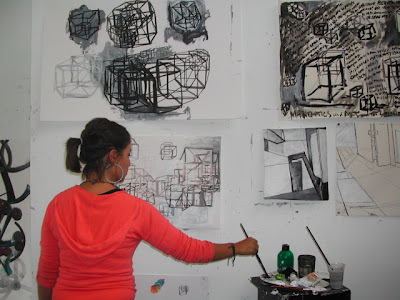 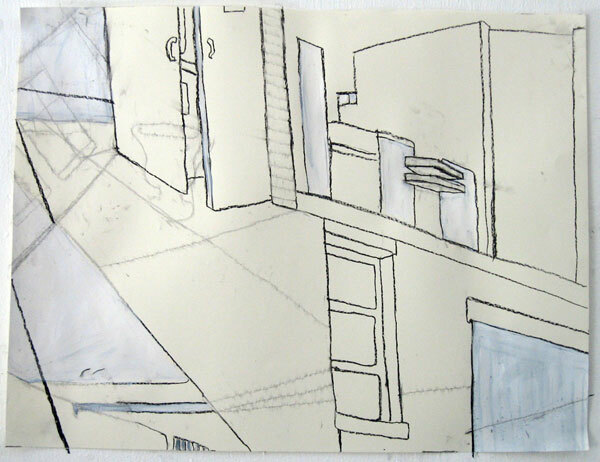 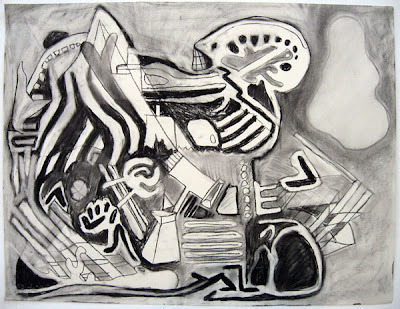 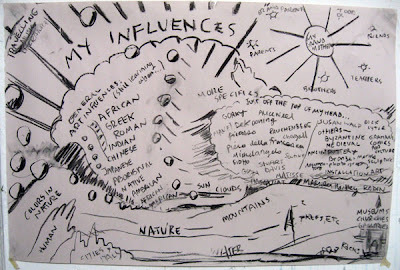 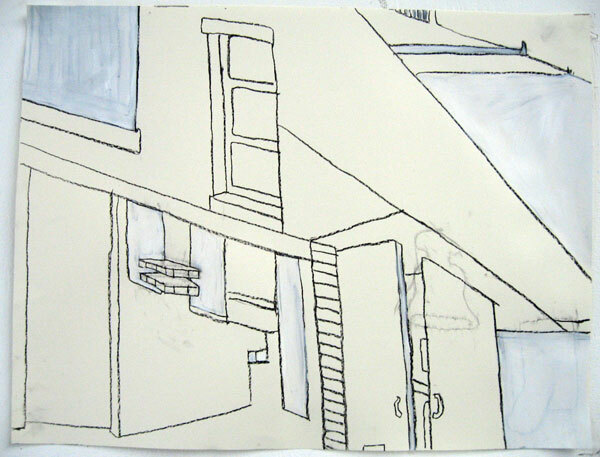 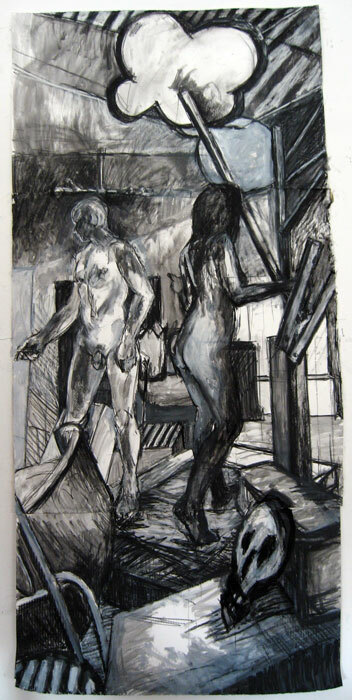 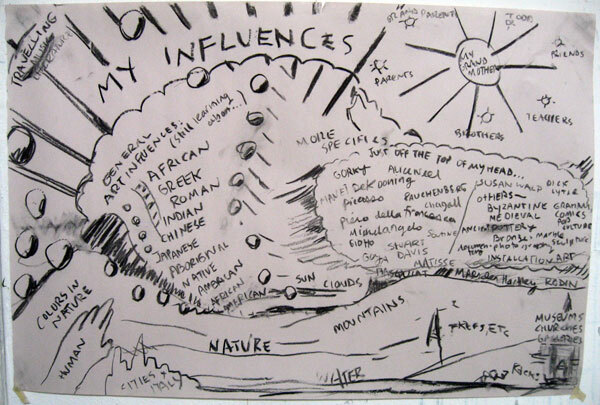 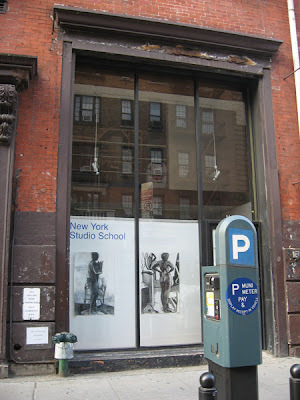 This fall, I participated in Gregory Botts and Eve Ascheim's Drawing Marathon at the New York Studio School. 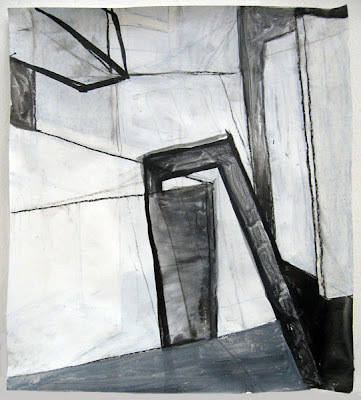 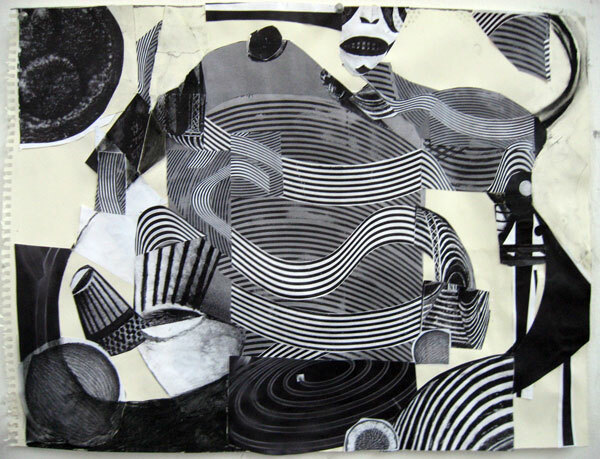 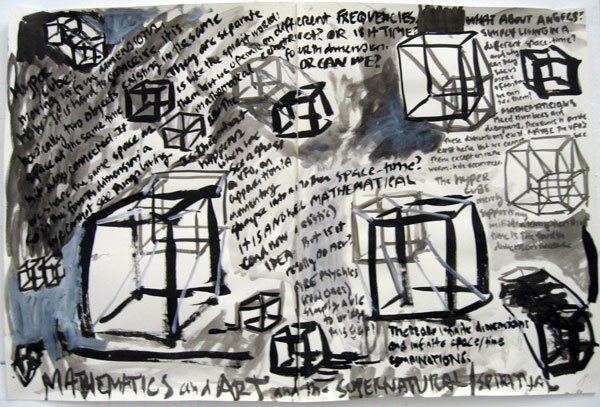 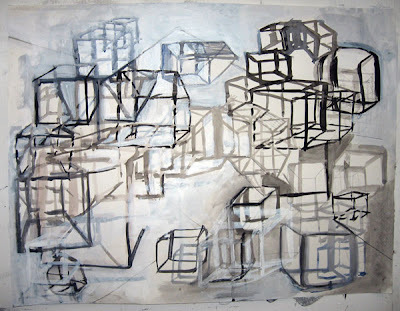 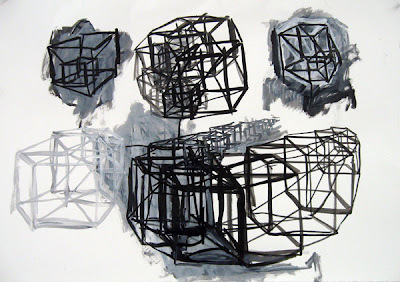 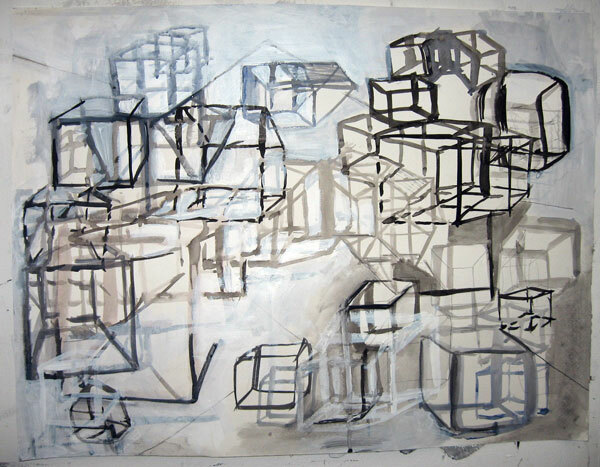 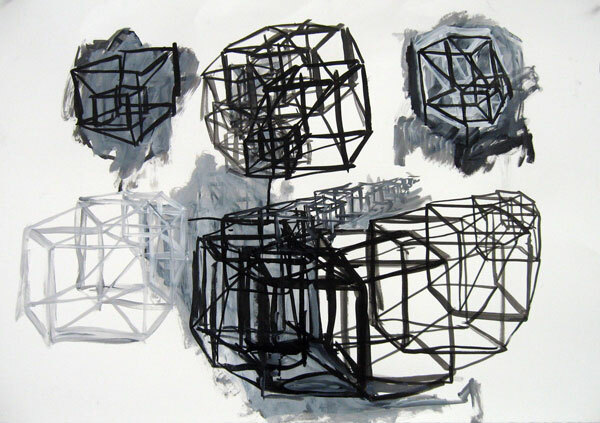 During the first week with Gregory Botts, we drew exclusively from the figure and constructed set-ups, whereas the second week with Eve Ascheim, we took a more conceptual approach, using collage, geometry and combined perspectives in our drawings. 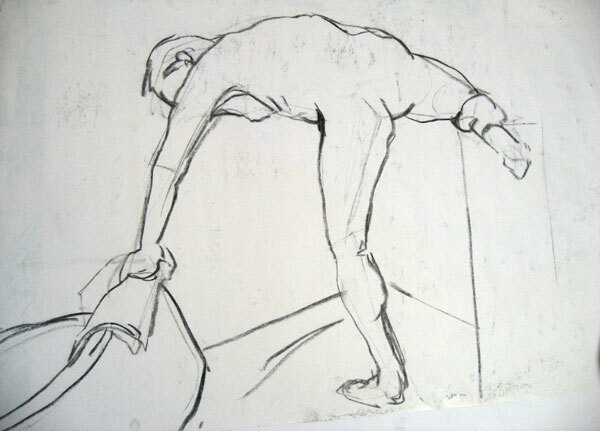 At the end of the week with Gregory Botts, we worked on a large piece, combining two separate poses into a single composition. 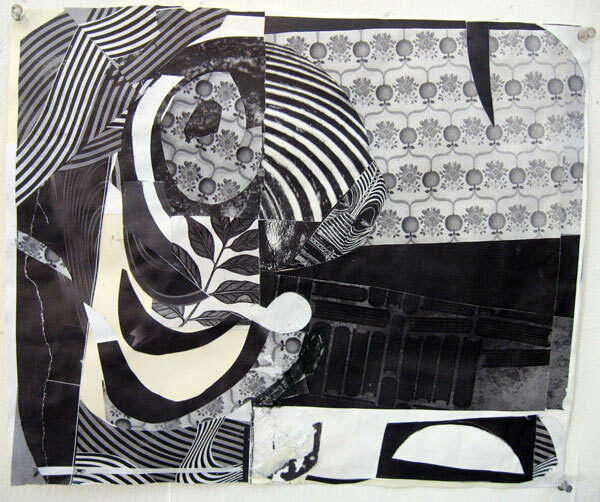 To make it interesting, Gregory created large props such as skulls, flowers and clouds out of foam-core. It was a challenge to create a believable space using two models who were never in the studio at the same time! 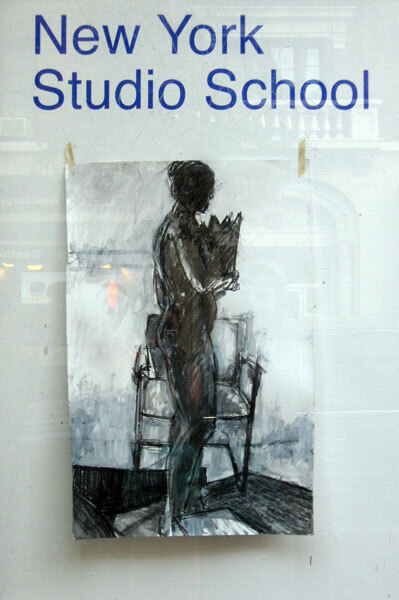 At the end of the week, we had a show for our Drawing Marathon in the Lobby and the front window of our school. 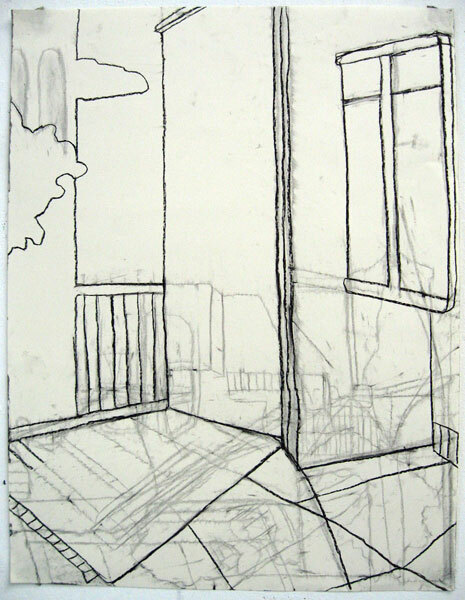 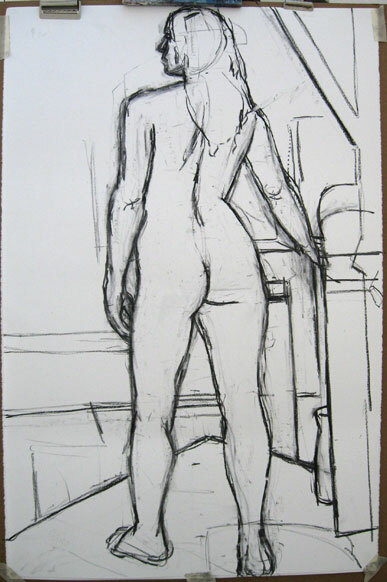 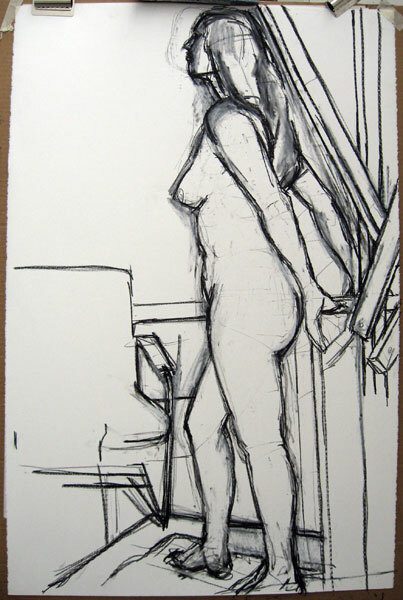 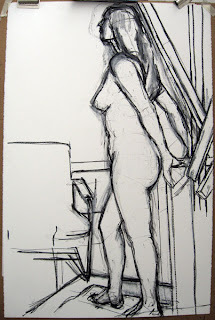 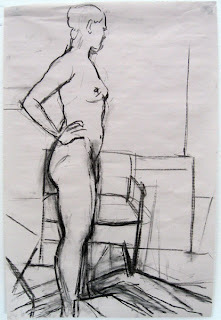 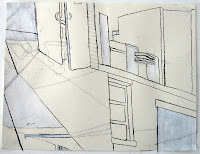 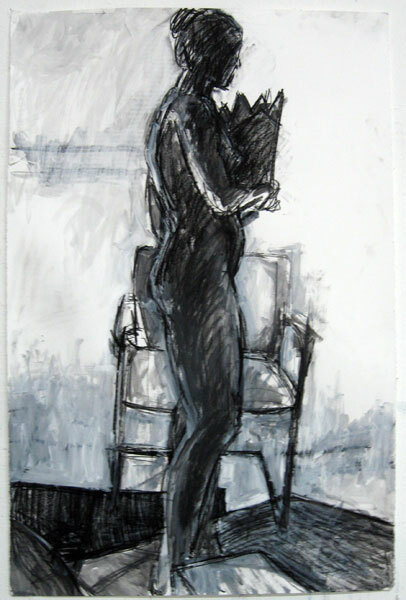 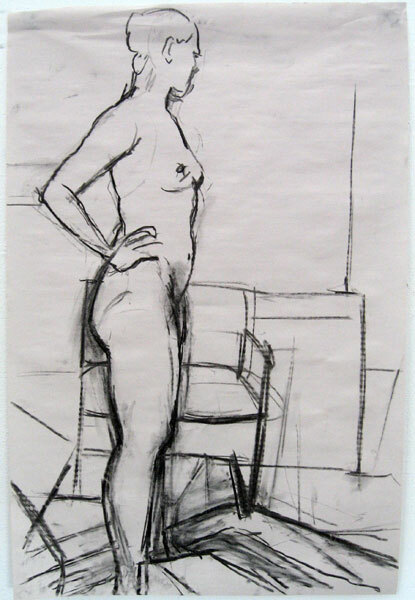 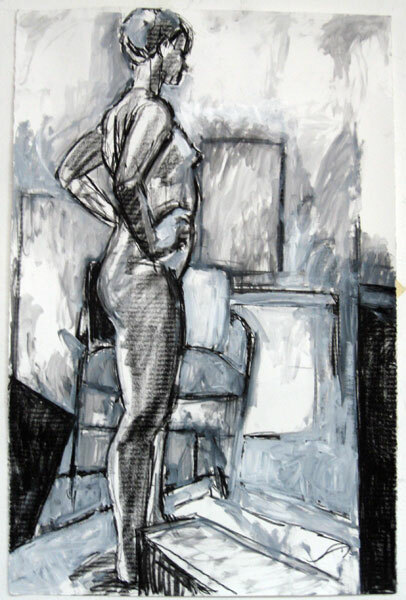 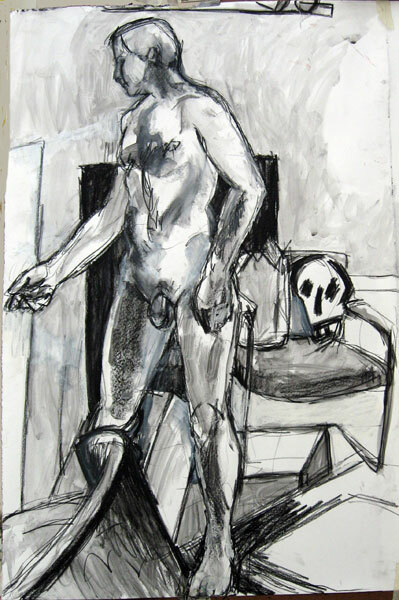 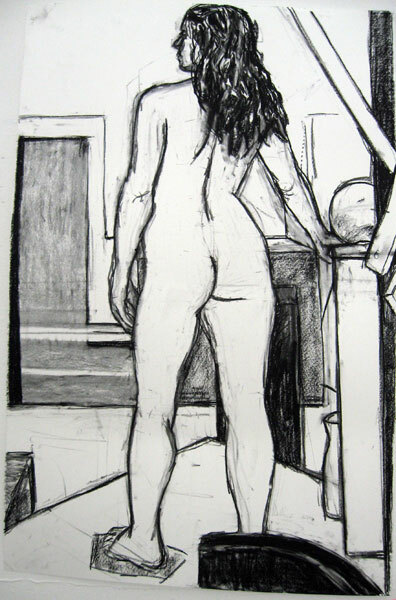 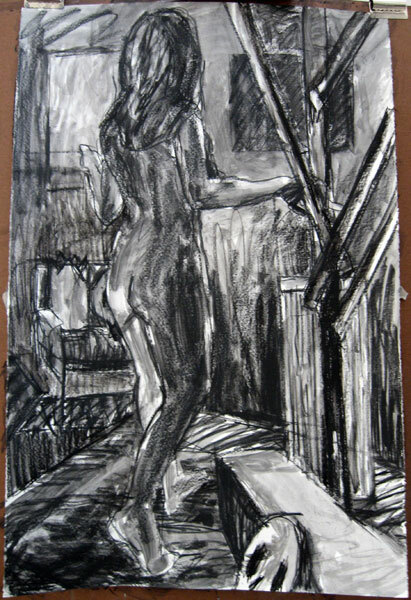 My figure drawing got a view of West 8th Street--or rather, West 8th Street got a view of my figure drawing!